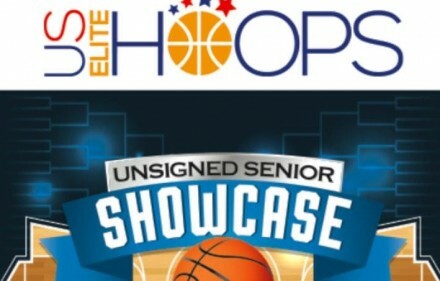 The ScoutsFocus Elite 80 Spring Showcase was held in Greensboro, NC over the weekend and there was quite a bit of talent to take note of. The event featured players from 2013 and older with a notable exception, which we will get to. The event ran long in scheduling and there was not an all-star game at the end. However, we attempted to watch as many games as possible and have come up with a Basketball Elite list of the top players that we were able to see through several games. Apologies to a few players who arrived late and were not listed on the roster sheet, and we did not get a chance to talk to. This is our overall and class ranking for this specific event, and these are also the players we will continue to scout heavily in the coming months. There was a lot of speed on display at the camp, and the style of play was extremely loose. We intend to scout all of the players who attended again as much as possible in the future. Saseeq is undersized at this point but extremely quick and looks to get the pass off with a flair. The younger brother of Duece Bello, Sadeeq was one of the few 2014 players attending but showed flashes of style and promise even against older players. Pushes the ball effectively up the floor and gets the ball to his teammates. He is working on become a serious playmaker and is a player to keep an eye on. Hairston has an exceptionally fluid game and runs both ends of the floor. Both James and Marcus independently chose Hairston as the best player in this event. At least a solid mid major prospect, he has the length and athletic ability to play either the 2 or the 3 in college. Needs to add some weight but plays hard and puts out effort at all times. Plays defense and is effective even without the ball. Will become more of a name over the next two years and looks like he’s willing to put in the work to elevate his game. Was listed at 6’6″ but is actually 6’7″. Egbunu is raw but has a lot of potential. When he gets the ball around the rim he can throw down two-handed dunks, even on the run. Needs to work on his footwork some in the post, and was caught out of position on lateral defense at times, but is long and athletic with size. Really good prospect. Athletic and strong, with a great ability for rebounding. A solid prospect that works well in the post but has the ability and potential to play the 3 in college. Great outside set shooter and extremely athletic; broke away for dunks, including a reverse. Really understands how to play without the ball and has good court awareness. Plays hard at all times, works and moves his feet on defense. Working on his ballhandling to be able to play PG more in the future. Big time guard with explosive elite guard athleticism. Strong, smart player with crazy hops and knows how to play with or without the ball. Can play the 1 or the 2 with ease. Really understands how to play the game and looks like he could play in both the half court or the full court up tempo game. One the best pure athletes at the guard position we’ve seen this year, but it cannot be emphasized enough his court awareness and heady play. Defends, plays all out and is obviously a mature player. Quick hands on defense. Explosive slasher, very fast and smooth up and down the court. Moves well without the ball and can score with the ball in his hands. Needs to work on ballhandling, but is dangerous in transition and knows how to find spacing on the break. Competes on every play. Was listed at 6’6″ on the roster but is listed shorter in other places, so we’ll find out the accurate measurements. The other tower in Mt. Zion’s frontcourt, Sero is also long and athletic, but needs to work on running the floor and his hands, handling the ball on the pass into the post. A player hails from Greece and who looks more like a college 3 but also plays the 2, an active and fundamental player. Works hard even in drills but sometimes had trouble in the fast pace of the open court games. Decent shooter and does not make many mistakes. Has gotten interest from Elon and Arizona State. Solid guard who can shoot and works the offense effectively. Great outside shooter. Ahtletic and long, promising prospect and big time slasher who plays well in the open court and transition. Can get out of control with the ball in his hands going full speed, but also can explode to the rim just as easily. An exciting player to keep an eye on. Also one of both of our favorites of the event. Smart, really understands the game and what’s happening around him, he’s athletic and defends well. Works hard the entire game. Not going to wow you with highlights but impresses with his ability to score the ball in a myriad of ways. Was player of the year in his conference and an All-State performer. He averaged 20 points, 8 rebounds, and 4 assist a game this past season. Definitely has the ability to play at the next level and has the maturity to get it done. Good scorer who can shoot and get to the rim. Good team player. Vocal, and obviously a leader. A dynamite scorer who cannot be left open and will burn the defense, but also knows how to run the offense. Solid in many areas. NC A&T and Winston-Salem State have offered him. Appalachian State and UNCG have expressed interest. His team today gelled together very well – they filled the lanes on the break and shared the ball well. Strong and active scoring guard who is hard to stop when he has the ball in his hands. Can score on the break or from the half court set. Can finish in traffic, even with contact. Dangerous when he’s got the ball, but needs to work on making an impact when he doesn’t have the ball in his hands. Solid, strong guard who can create his own offense. Mature enough and good enough passer to play the PG spot, but also a solid scorer who can play off the ball effectively as well. Very disciplined guard who understands the game and plays with poise and strength. A winner, talks on the floor and competes. Has a nice pull up jumper and his scoring ability keeps the defense from collapsing on the big men. 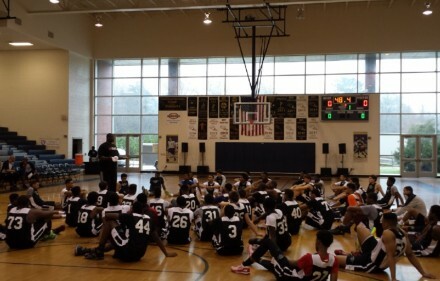 Both James and Marcus independently decided on the same player as the top player at this event, Christian Hairston (6’6″, SF, 2013). There were three players who were not listed on the roster sheet, but would have made this list. We are still working to track them down. What About Ameer Jackson had nuber 1 on? We watched him some and he definitely is one we are keeping an eye on. I don’t think we got enough of a look to get a real assessment yet.